Getting your pronunciation right from the start will pay off a lot down the road. It’s like laying a foundation for your house that you can build upon. Once you are tuned into the sounds of the language, speaking and listening become much easier. In this guide we’ll go through 3 steps - understanding the sounds, understanding the word stress, and taking a special look at how to distinguish similar sounds. Even though it might sound difficult to a complete beginner, Spanish is actually one of the simplest languages to speak. One of the reasons for this is because it is a completely phonetic language, meaning that once you learn the sounds the letters make, ALL Spanish words you come across will be pronounced in a consistent way. Compare this to English where, for example, the letters -ough are pronounced many different ways, depending on the word – bought (awt), cough (off), through (ooh), though (oh), rough (uff) etc. If I made up a new English word – krough – you would have no idea how to actually say it until you heard it. You will never have this problem with Spanish, once you know the rules you will know how to pronounce any new word you encounter . First, we’ll start with the easiest bit (don’t worry, none of it is that difficult!). Vowels in Spanish always sound the same, whatever their context. They are pronounced as follows. Note that in Spanish vowels are typically shorter, and more precisely pronounced than in English. Most of the consonants are similar to the English, with a few differences. They also follow strict rules, but some will change when combined with other letters – but even these are quite simple. The following table shows only the letters that are from the English pronunciation. c Like the s in seen when before i or e, like the c in cat all other times. d Like the d in dog. g Before i or e like the h in hat, but softer and more breathy. Word stress, or where you put the emphasis, is also consistent in Spanish, and very simple to learn. 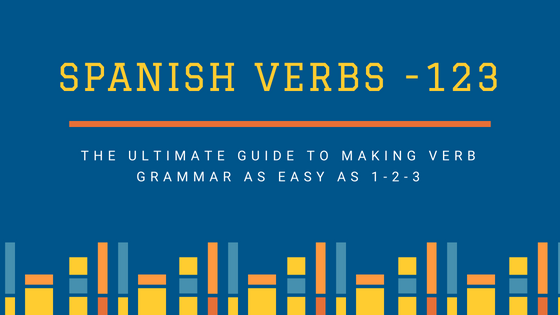 It is something often overlooked by beginners, but is very important to get right in order to be understood, and to sound like a natural Spanish speaker. There are three simple rules to follow. For words ending in a vowel, an -s or an -n (the majority of words), the stress is on the penultimate syllable (the one before last). For all other non accented words the stress is on the last syllable. If the word has a vowel with an accent (these are called tildes), then this overrides the other rules and the word stress is on the syllable with the accent. Note that ñ is a distinct letter and not a stress accent. Did you know that babies have much better listening skills than us?? There are around 800 different sounds used across all human languages, but each individual language only uses about 40. Incredibly, babies are born with the ability to distinguish between all these sounds, but after a while our brains group sounds together according to what is required by our native language. The result is a difficulty to distinguish between some sounds that occur in your target language but not your native one. But don’t fear! We can undo this with minimal pairs. A minimal pair is a set of words that differentiate by only one sound. Like and floor and flour. By studying a set of minimal pairs that contain problem sounds in Spanish you retrain your brain to recognize the differences. Once these sounds become more natural to you, saying them, and understanding them in a string of words will become much easier. Listen to the following pairs of words and repeat each one. Go over this list again and again until you are comfortable with them. What Next? Practice, Practice, Practice! Unfortunately there's no way around it. If you want to nail your Spanish pronunciation you have to practice. That doesn't mean it has to be a chore though! Try these tips. Repeat all the examples in this article until the sounds become easier. For more examples use Forvo to hear any word spoken by native speakers. Immerse yourself in the language. Try Spanish Spotify playlists, or find a Spanish radio station on Radio Garden. Try to repeat words and sentences, mimicking the accent, even if you don't know what they are saying. As you learn new words practice them by speaking to yourself! For example name objects in your home as you see them. Find any excuse to speak the language to get your tongue in shape.